At Cadence, music is at the core of everything we do. We know that music is the key ingredient to an awesome class. The ride we plan and the coaching and cheering we bring to the bike can only take a class so far. A 5-star class happens when the music puts a fire in your belly. When you hit the bottom of that pedal stroke right on the beat for the whole track, even as the hill is getting heavier, you feel invincible. And when a whole group of people is riding that beat together, it’s a sense of empowerment that you probably won’t find anywhere else in your day. We know how great that feeling is, and we try to give it to you every time. That sense that the music is guiding your ride is not just a feeling, though. It’s science. In the last 15-ish years, the connection between music and movement has been studied more and more. Turns out, music adds more than an element of play to the ride. It adds more than distraction from your fatigue. It adds more than motivation. It does all those things, and we use it strategically for all those reasons, but music does so much morefor your ride. The gist? Lights and disco balls can bring playful fun to the ride; a podcast can distract you; your instructor’s inspirational speech can motivate you. Only music, though, increases endurance, reduces perceived effort, and promotes metabolic efficiency. Studies show people can actually cycle longer and harder with music than without. Music and movement are literally entangled in the brain. Without getting too science-y, basically we can’t notmove to music. Some songs are clearly better to ride to than others, not only because heavy beats seem to give your legs more power and inspiring lyrics seem to give you wings to the top of the hill, but also because other factors, especially tempo, effect the body’s reaction. But, hey, that’s what we’re here for. You leave the picking and choosing to us, and we’ll do our best to put together an awesome playlist each and every ride. If you want to read more about the psychology behind work out music, the link to our favourite article is below. And if you have any songs that are yourgo-to work out tracks, please share with us! We’d love to take them for a ride. What's Up with the Rhythm Ride? We introduced the Rhythm Ride onto our schedule at the beginning of 2018. Here are some Frequently Asked Questions (and answers) about this new Cadence ride! How is the Rhythm Ride different from Classic Cadence? The Classic Cadence ride is grounded in a formula of heavy hills and simple speed drills, filled with high intensity intervals. Music guides the ride, but there is no upper body choreography and minimal lower body choreography. The Rhythm Ride relies on the same philosophy as Classic Cadence, with more choreography sprinkled throughout. 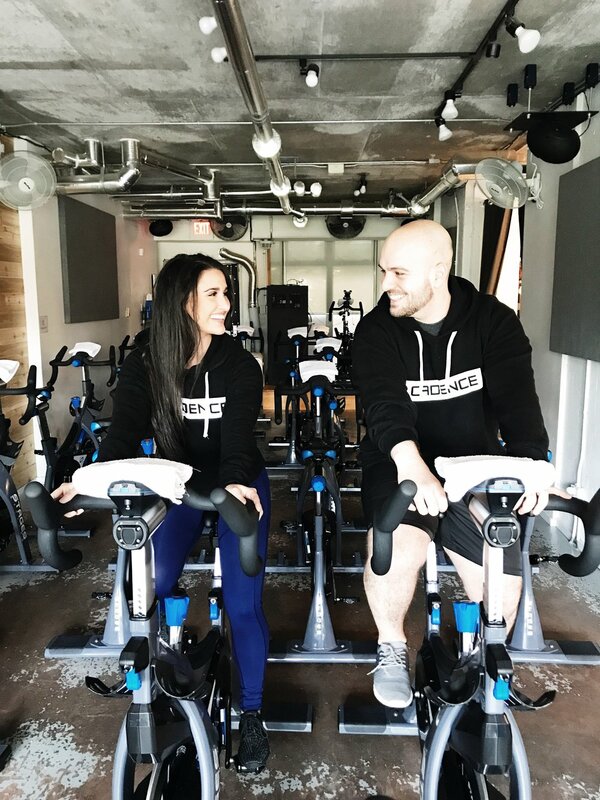 Alignment, safety, and strength conditioning remain priorities, but you will move around on the bike a bit more and “dance” to the rhythm of the music. Also, the entire ride is on tempo, so there are no intervals where you speed past the beat. Why did Cadence decide to introduce the Rhythm Ride? We love to continuously evolve and grow, and are constantly asking ourselves what the next new venture will be. We felt that our community (you!) would be interested in shaking up your riding routine with a class that has a little more bounce to it, and we want to make sure that we are always giving you what you want. We think the Rhythm Ride will be a fun way for you to surprise/challenge/amaze yourself by trying something new! Can a beginning rider start with the Rhythm Ride, or should they do Classic Cadence first? We think that either would be a great first experience! Our instructors always teach to all levels, and cues for proper alignment on the bike will be a priority in both classes. The console is available but optional, so you can read your RPMs on the screen if that helps and motivates you. An added benefit of the Rhythm Ride being your first spin experience is that you can let loose and move to the flow of the beat (the entire ride is on tempo)! How can I decide if Classic Cadence or the Rhythm Ride is best for me? Well, we hope you will try both! 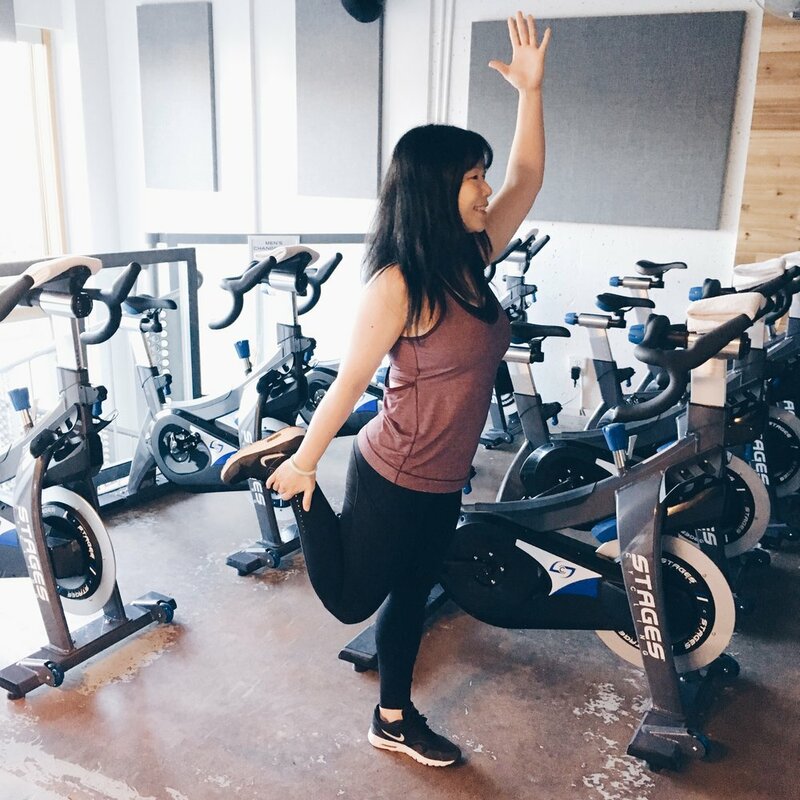 Both classes will give you an awesome work out and a great musical experience, and we’ve worked hard to ensure that both rides are accessible and beneficial (and fun) for every type of rider. 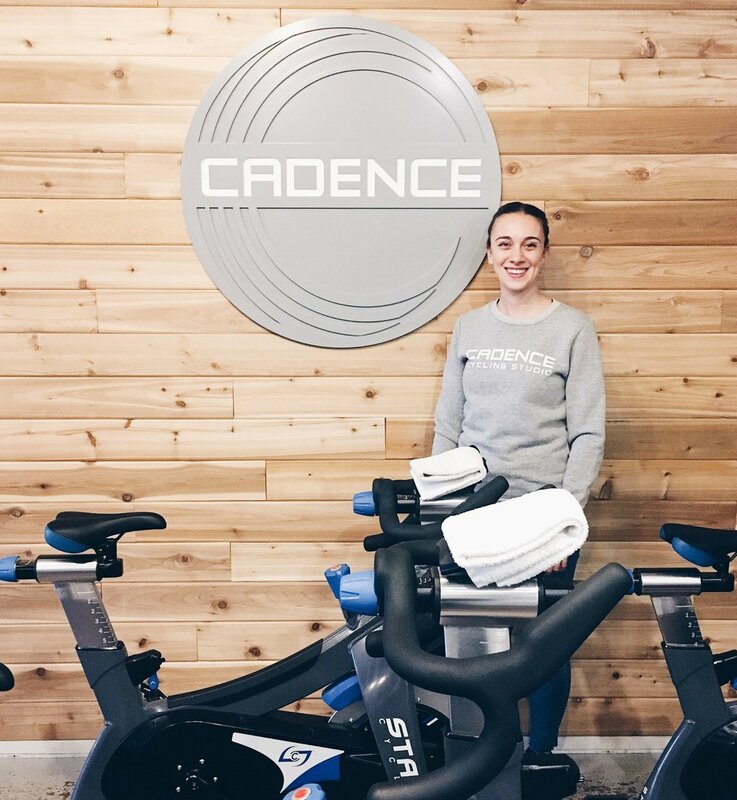 On a day when you want a more focused, athletic ride, try Classic Cadence. On a day when you’re in a party mood and want to move a bit more, try the Rhythm Ride. But ultimately, our aim is to make both rides fit seamlessly into your work out routine. Who teaches the Rhythm Ride? Our resident rhythm experts, Pauline and Francine, are our current Rhythm Ride instructors. Both ladies have significant experience with the relationship between music and movement, and have worked together to develop this ride into the treat that it is. 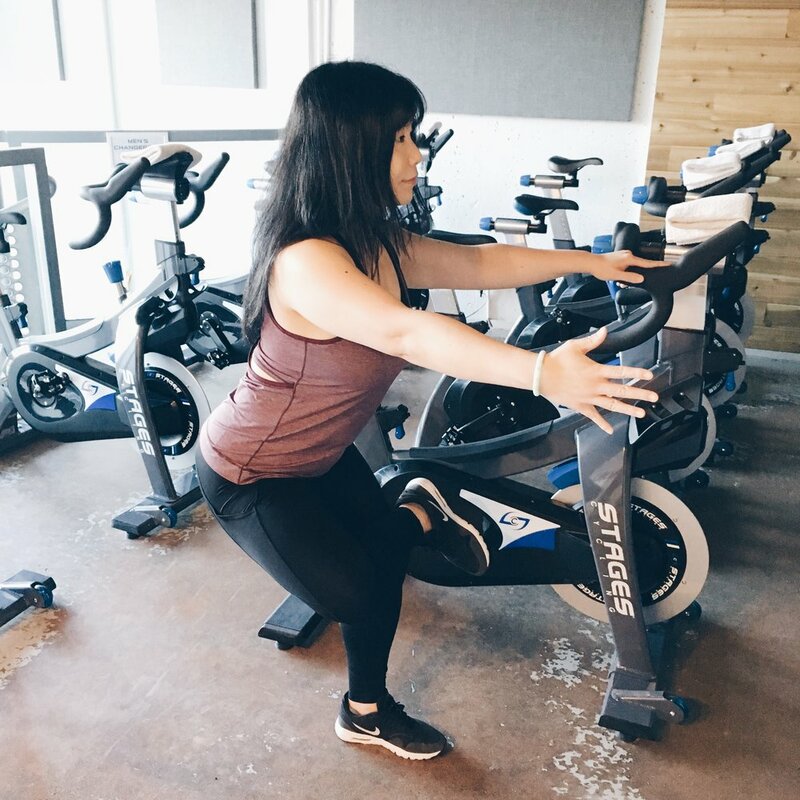 More instructors will be trained on the Rhythm Ride in the future, so let us know if you love the class and we will do what we can to offer you more Rhythm Rides on the schedule!